Watch collectors generally agree that watches under 250 dollars are consumer watches, watches under $1,000 are brand and enthusiast watches, and watches between $1,000 and $10,000 are luxury watches. Anything above $10,000 is classified as an ultra-luxury watch. Today, we're looking at the luxury watches, meaning that all of these watches are priced between $1,000 and $10,000. This may seem like a hefty price to pay for a timepiece, but if you do your research, you'll find a watch that will last you a lifetime. These luxury timepieces include some of our favorite complications, designs, and movements. We've compiled a list of the best watches under 10,000 dollars. If you're looking for your next luxury watch, we suggest you start your search here. These fifteen luxury watches are worth every penny. Please note that the watches we chose have multiple variations with different straps, dials, and case materials. We chose our favorites, but you'll need to visit the brands' sites to see all of the options and to choose which variation best fits your style. The dial on this Omega Seamaster features Omega’s signature Teak Concept pattern, which is inspired by the wooden decks of luxury sailboats. This watch can be both casual and dressy, depending on what you pair with it. The Omega Globemaster has recently been updated to become the world’s first Master Chronometer, making this watch incredibly accurate and reliable. This Globemaster variation features a steel case with a Sedna gold bezel. The hands and indices are also crafted from Sedna gold, and they appear on top of the “Pie Pan” style, sun-brushed blue dial. 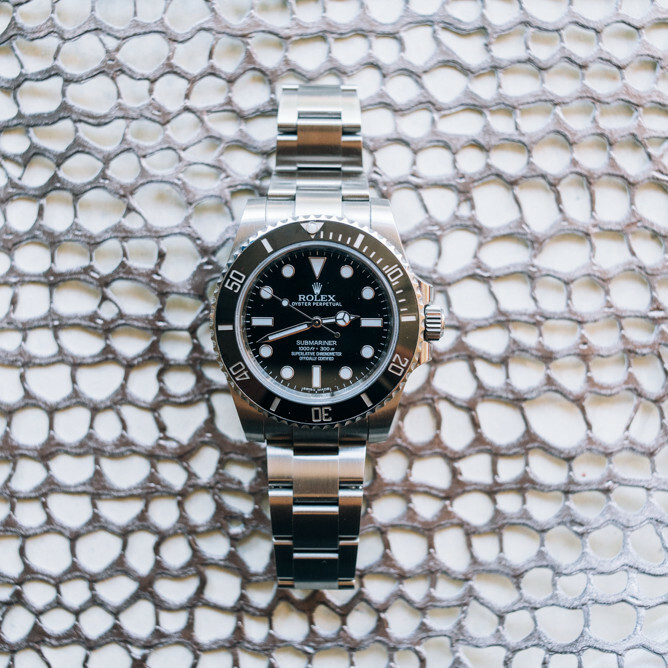 This list of the best watches under 10,000 dollars wouldn’t be complete without including the iconic Rolex Submariner Date. As one of the most popular luxury watches, you’d be hard pressed to find an office without at least one Rolex Submariner owner. This watch has become popular because of its classic look, masculine features, and respected brand name. Although the Rolex GMT-Master was initially designed for professional use, it has become a common everyday watch for many watch collectors. Combining functionality and design, this watch appeals to many. The watch offers a second time zone, a 24-hour display, a day-night indicator, and a date window at 3 o’clock. Panerai first produced luminescent watches in the 1930s and 1940s for the use of the Italian Navy commandos. The luminescent hands and indices increased their watches’ nighttime and underwater visibility. Today, Panerai continues this tradition by designing and manufacturing incredibly legible watches, and this allows the watches’ time to be easily read in less-than-ideal conditions. Features: Movement executed entirely by Panerai, and it includes 160 components and 21 jewels. The Zenith El Primero Chronomaster is a sporty watch that can be dressed up or dressed down. The watch offers a chronograph with a 12-hour counter, a 30-minute counter, and central chronograph hand, as well as a small seconds sub-dial, date window, and tachymeter scale. Buyers can choose between a brown alligator strap, a black rubber strap, or a stainless steel bracelet. The Jaeger-LeCoultre Geophysic True Second is a classic watch with a streamlined appearance and clean dial. The black leather strap perfectly accentuates the silver grained dial. This sophisticated watch is ideal for dressier occasions such as business meetings or formal events. Features: True second and date window. Movement includes 275 components and 36 jewels. The IWC Portugieser Chronograph serves multiple purposes because it offers a chronograph complication on a dress watch. Although the chronograph function is typically found on sport watches, this IWC pairs the complication with a clean-cut dial and professional leather strap. This watch offers the best of both worlds. Known for their pilot watches, Breitling keeps their reputation in tact with this Breitling Navitimer 01. The Navitimer 01 features a bidirectional rotating bezel with slide rule and a chronograph with ¼-second, 30-minute, and 12-hour counters. These features, as well as the overall appearance and legibility, appeal to both pilots and pilot-enthusiasts. The Girard Perregaux 1966 offers another luxury watch with a classic dial and professional appearance. This dress watch is on the larger side with a 44 mm diameter; however, the incredibly thin case and integrated strap make this dress watch appear not too large. The dial features a date window at 3 o’clock, leaf-shaped domed hands, and baton-type hour markers. Features: Date window at 3 o’clock. Movement includes 190 components and 28 jewels. With its unique case shape and sub-dials, the TAG Heuer Monaco has made a name for itself in the luxury watch industry. The Monaco boasts being the first water-resistant timepiece with a square case as well as being the first automatic chronograph. This TAG Heuer Monaco Calibre 11 is one of TAG Heuer’s best sellers. Features: Chronograph with minute counter at 9 o’clock and a red chronograph central second hand, a running second counter at 3 o’clock, angled date window at 6 o’clock, and rapid date correction. The TAG Heuer Carrera Calibre Heuer 01 is another one of the brand’s best sellers. This watch represents TAG Heuer’s racing heritage with its accurate chronograph and easy-to-read tachymeter scale. The rubber strap makes this an everyday watch that can be worn to the racetrack, to the gym, or to the store. The first Cartier tank was designed and created in 1917, and its shape was inspired by World War I tanks. Today, the Cartier tank has become a staple in the luxury dress watch industry, and the brand produces both men and women’s models of the classic watch. Seiko is known for producing high-tech solar-powered watches, but Grand Seiko takes the brand into a more refined route. Grand Seiko focuses on making every detail —from the movement, to the dial, to the strap— work together to create a beautiful hand-finished watch. There's a reason why this Grand Seiko watch made our list of the top 15 best luxury watches under 10,000 dollars. Nomos may not be one of the top dogs in the watch industry, but that doesn’t mean they don’t deserve a place in our top 15 watches under 10 thousand dollars. The German brand specializes in everyday watches with modern designs, easy-to-read dials, and incredibly thin cases.